This is a remarkably beautiful and truly one of a kind piece of paradise! 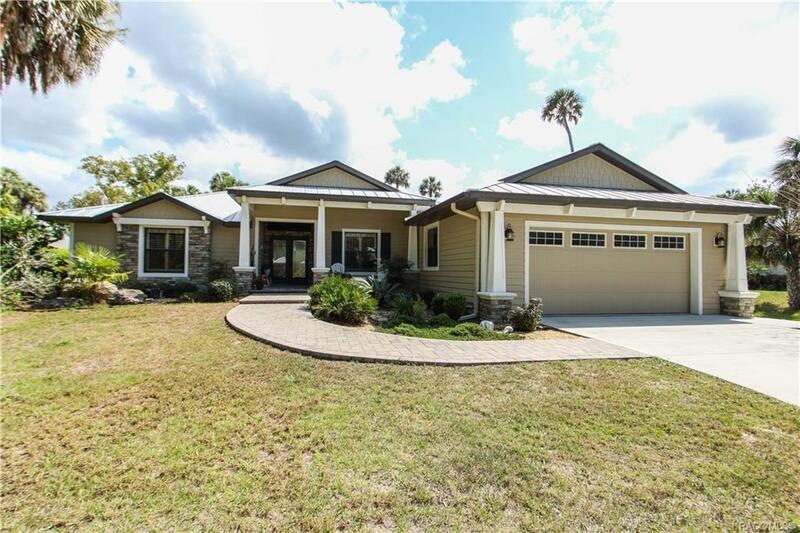 The .79 acres and 132 ft of Homosassa river frontage alone is enviable. Oh but wait until you get inside! This 2/2 home with den (or potential third bedroom!) has crown molding throughout living and dining rooms, wood plank tile through living areas, custom wood cabinets in the kitchen, both bathrooms, custom wood breakfast bar, pass-through shelf & custom bar cabinet with wine frig, this level of workmanship is a lost art! Master bath has over sized dual head tile shower, walk in closet with dressing area as well as a towel heater for your comfort! Two car attached garage as well as two car detached garage with work room and two car covered carport, there is no shortage of man space here! Large screen room off living area takes you out to spectacular yard and covered boat shed w/lift as well as separate covered dock for enjoying those beautiful Florida sunsets. Must see to truly appreciate this rare find! Directions: Turn West On W Halls River Rd, Go 2.5 Miles, Property Is On Left (South) Side Of Road.